After realising that there was a shortfall of childcare places in the Billingham area, the Billingham Environmental Link Project decided to establish a day nursery to provide high quality care and education to children aged from 6 weeks to 11 years old. BELP, led by managing director Jenny Franklin, is run by the local community for the local community. The organisation provides a wide range of support services including over 60s clubs, back-to-work support and community gardening projects. NESIC’s fundamental aim is to provide an innovative, regional, strategic solution to develop the market for social investment in the North East and to reduce disadvantage, deprivation and social need in the North East communities. With a £110,000 investment from the North East Social Investment Fund, delivered via its fund manager Northstar Ventures, Smiles North East nursery, will provide 65 childcare places, create new jobs for local people and generate revenue which will be re-invested in BELP’s community projects. Andrew Mitchell, Chair of the North East Social Investment Company, said: “At NESIC we are passionate about effecting real social change in the North East, whether this is by helping social enterprises, charities or community projects. In addition to day care provisions, Smiles will also run an after-school club, a holiday club during school breaks and a pre-school breakfast club. The aim is to encourage parents in the local area to engage more with BELP’s core activities while their children are at the nursery or school clubs. The investment has been used to refurbish the property into a modern pre-school facility. The rooms have been designed specifically for different age groups to stimulate development and maximise educational opportunities. Jenny Franklin, managing director at BELP and Smiles North East Limited, said: “Smiles will complement the activities of BELP by encouraging parents to take advantage of BELP’s programmes whilst their children benefit from the safe haven provided by the nursery. “We needed flexible funding with on-going support to refurbish the building and set up the business. The North East Social Investment Fund has not only provided this, but they have enabled us to challenge ourselves and develop the skills we needed to be sustainable. The North East Social Investment Fund has a pot of £10m to support charities and social enterprises across the North East of England, where they might not be able to secure finance from traditional lenders. 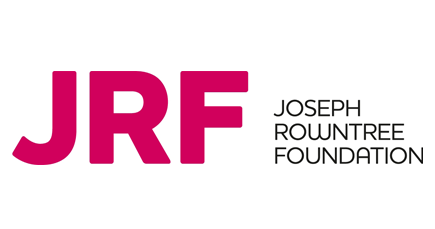 The fund is managed by NorthStar Ventures and backed by local and national organizations such The Community Foundation, Big Society Capital, Esmée Fairbairn Foundation, Northstar Foundation and the Joseph Rowntree Foundation. 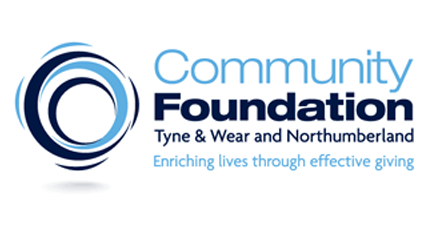 The Northern Rock Foundation were founding funders of North East Social Investment Fund and their investment has now been taken over by the Community Foundation. WHEN it comes to funding, charities and trustees need to re-think the way they access finance to stimulate growth in the North East, as LUCY ARMSTRONG, a non-executive director of the North East Social Investment Company (NESIC) explains. With fewer grants available, changes in commissioning and greater competition for public sector contracts, charities are having to explore new ways in which to generate funds and achieve their objectives. To a private sector company needing to achieve its business plan goals, the solution would be clear; raise capital – and borrowing would be high on the list. In fact, borrowing money is not in itself an innovative way to raise funds – it's always been available to charities – but historically they have steered away from it, relying instead on peripatetic grants and donations. The funding climate, in the wake of the Brexit vote, remains uncertain, however, pressure on public sector budgets could offer real opportunities for charities and social enterprises in the North East to provide an engine for growth in the region. The Third Sector can provide innovative ways of delivering crucial services to society. It generates economic benefits, creates employment and makes profit, but it also delivers social impact and outcomes. And, while delivering social impact, charities and social enterprises are also established on a sound entrepreneurial foundation, where staff are rewarded and profits are generated to plough back into the business. This marriage of economic and social benefits is already being hailed as an exciting solution to some of the challenges being faced by the contraction of funding from local authorities. Key to this is social investment, which is simply a repayable loan given to a charity or social enterprise, formed to benefit the community in some way. Of course, social investment isn’t appropriate for every organisation but, as a business model, there is no doubt that it works. Trustees need to think like business people. They need to ask themselves if borrowing money will enable their organisation to do its job better, safeguard its future and enable it to meet its aims and objectives. And, if the answer is yes, then they absolutely should think about borrowing. We appointed Northstar Ventures to manage the first fund, the North East Social Investment Fund, which invests in voluntary and community organisations and social enterprises in the region and can help organisations achieve their goals. They have already made a number of really exciting innovative investments. They say that from every cloud has a silver lining and the demise of the Northern Rock Foundation provided an opportunity to innovate and to test new ways of supporting the sector in the North East alongside grant. Social investment isn’t just for social enterprises. The North East Social Investment Fund is also available to charities who are looking to set up a trading arm. Recently, Tyneside and Northumberland Mind was looking for funding to help it set up its new centre, Be Wellbeing, at MEA House in Newcastle. NESIC board member, Sally Thomas, discusses the importance of measuring the impact of social investment to affect real change. In Glasgow, the quality of housing and landlord services at the lower end of the private rental market are generally poor. Vulnerable people and those on low incomes living in some of the most deprived areas of the UK struggle to find a happy, secure home. Homes for Good buys and refurbishes properties, increasing the supply of good quality housing in the private rented sector and improving the standard of accommodation for vulnerable people. AS the funding climate changes, charities and their trustees need to re-think the way they access finance. As LUCY ARMSTRONG, a Non-Executive Director of the North East Social Investment Company (NESIC) explains, the third sector needs to follow the lead of the private sector. And, for charities and social enterprises across the UK, that has never been more prescient. With fewer grants available, changes in commissioning and greater competition for public sector contracts, charities are having to explore new ways in which to generate revenue and achieve their objectives. To a private sector company needing to achieve its business plan gaols, the solution would be clear; raise capital – and borrowing would be high on the list. Lucy Armstrong is a Non-Executive Director of the North East Social Investment Company, which was set up to help stimulate the market for social investment in the North East, in order to create social change and help create a climate in which it can thrive. “Many trustees are risk averse and have a cultural aversion to the concept of bank borrowing and paying interest.,” she said. “Often, they feel that taking commercial loans is a risk and is outside their remit as a responsible trustee. “But you are not personally responsible if you and your fellow trustees have taken the decision responsibly. There are myriad types of loan: overdraft facilities, term loans, revolving credit facilities and, of course, social investment loans. Social investment is simply a repayable loan given to a charity or social enterprise, formed to benefit the community in some way. Help is available for trustees keen to navigate the minefields of funding and decide which solutions would best meet their needs. A number of organisations, such as Big Potential, Numbers for Good and the Fresh Ideas Fund, are able to train trustees in issues around finance and borrowing money and to teach them the skills they need to be confident in their decision making. “Trustees need to think like business leaders. They need to ask themselves if borrowing money will enable their organisation to do its job better, safeguard its future and enable it to meet its aims and objectives. North of the border, in Scotland, communities have been transformed through social investment. Alastair Davis, chief executive of Social Investment Scotland is now calling on the North East to follow its neighbour’s lead. Throughout the region, charities and community organisations are crying out for financial help – yet, often, the problem isn’t lack of available funding; it is knowing where to find it. Banks can be reluctant to offer loans to social enterprises for many reasons and equally, the enterprises themselves can be risk averse, relying on peripatetic grants and donations. This is where social investment funding comes in. Social investment funds provided by organisations, such as Social Investment Scotland, have helped to fill this void to support growth in charities, community organisations and social enterprises. Indeed, SIS is the largest investor of its type in Scotland and is a social enterprise in its own right, operating in partnership with a range of organisations who also have an interest in this field. Alastair Davis is a board member of NESIC he said “There is still a lack of awareness within the North East about what social investment is and who it benefits,” he said. “It is simply a repayable loan given to a charity or social enterprise, formed to benefit the community in some way. “In my view, there are two key groups of people we need to reach. The first is the social enterprises themselves and the second is business leaders and those in control of local authority budgets. “Council-run community services, such as childcare and the care for the elderly, are vulnerable in the wake of Government funding cuts. “Yet if the people who provided care in the home, for example, were to form their own social enterprise then those services could not only continue, but the impact on the public purse would be significantly reduced. “And existing enterprises have proved that the quality of service can improve when the staff stop being employees and become stakeholders with a vested interest in the success of their organisation. “NESIC has a real opportunity to raise the profile of social investment, so that social enterprises and local authorities are aware that there is a source of funding which will directly benefit local communities. “Of course, social investment isn’t appropriate for every organisation but there is an increasing desire among the financial communities to provide funding and, as a business model, there is no doubt that social investment works. “It is a new way of funding vital community services and interests, using private rather than public money so everyone benefits and NESIC plays a pivotal role in the process. “Anyone wanting to either find out about social investment or to apply for it should contact North East Social Investment Fund at www.northstarventures.co.uk and, if it turns out to be the right way forward the Fund managers will be at their side at every step of the way.